Melbourne Demons: $15.00 Can Melbourne still provide flag value? 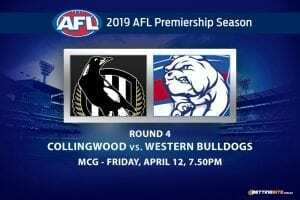 A battle of the two biggest under-achieving teams of the first fortnight of the 2019 AFL season will provide a fascinating storyline heading into a big weekend of football. 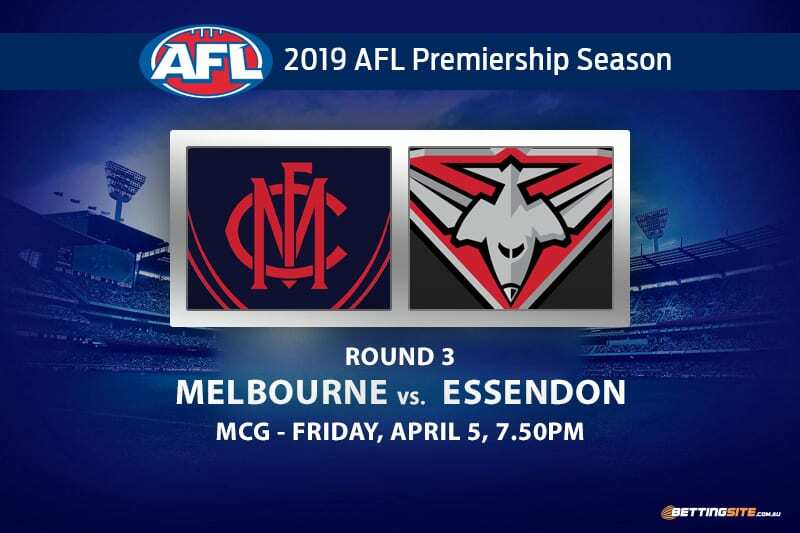 The anticipation and expectation for both the Melbourne Demons and Essendon Bombers in season 2019 couldn’t have been higher, but clubs have failed to register a win from their opening games and a third loss to start the season could put a finals campaign in doubt. 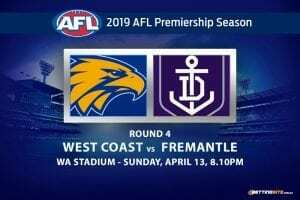 Melbourne was embarrassed at home by a young Port Adelaide outfit in round one, then lost by 80-points to Geelong the following week, casting serious doubt on the Demons’ ability to improve on their preliminary final showing last year. You don’t need to be an expert to know Essendon is playing terrible footy right now. The Bombers are bereft of confidence and have clearly taken time to adapt to a new defensive scheme. John Worsfold and Simon Goodwin have had to work overtime as head coaches, giving the players belief that the season is not yet over. A win here will provide relief and belief, but a loss will bring the vultures, looking to pick apart the hope built up over a long summer. The Bombers have a variety of choices to make at selection this week after most of the side underperformed in the past fortnight. Small forwards Mark Baguley and Anthony McDonald Tipungwuti have barely looked like scoring for the Bombers and could have a spell in the reserves to regain confidence. For the Demons, full-back Steven May suffered a groin injury — a disappointing development to a player who came on big money and failed to impress during the pre-season. Here’s our selection of tips for the upcoming bottom-two clash. No player in the league needs to have a good game more than Demons forward Christian Petracca. The former number two draft pick has been a non-factor in the first two weeks and will need to stamp his authority on this season soon. If Christian can get a few early kicks or even a goal, his confidence will be sky high and he will dominate the Bombers. 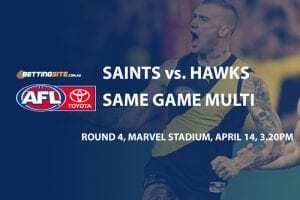 David Zaharakis to get 25 Disposals @ $1.91 – Is there a bonus available for this wager? One Bomber that has a good track record against the Demons is David Zaharakis. Last season Zaharakis managed to get the footy 28-times in the round six clash, one of his better totals for the season. If the Demons decide to target Dylan Shiel or Dyson Heppell, it will leave room for David to dominate. In the first two rounds the Demons have only scored 15 goals, appearing to be underdone after a shorter pre-season and lacking confidence going forward. 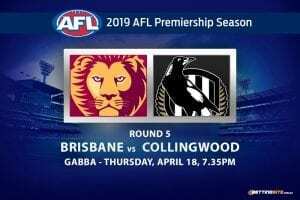 In a big game, after a fortnight of scrutiny, we expect their midfield to provide better supply to their forward line and for the likes of McDonald and Weideman to have an impact. The Essendon forward line has proven to be a shambles so far this season, especially without key forward Joe Daniher. 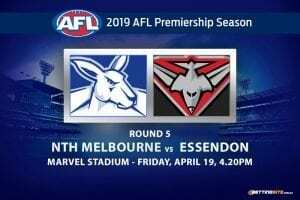 Not only has the midfield struggled to create supply, but the Bombers have lacked scoring options and have not been able to create forward pressure. Unfortunately, we see that continuing here. The problem for the Dons is deeper than just a form slump, as injury and adapting to a new game plan has taken a toll. The Demons may have started the season poorly, but have shown a better statistical trend in their losses that suggest a big win is not far away. Line Betting: Melbourne Demons –16.5 @ $1.90 – Which bookie offers the best Adelaide odds? 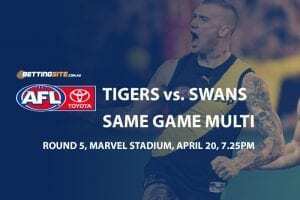 With Max Gawn against the struggling Tom Bellchambers in the ruck, we think Melbourne is going to gain the all-important ascendancy in the ruck and both out-class and out-pressure the Bombers. May the footy Gods help the loser of this one.